Most shaving brush enthusiasts have heard of the (in)famous “TGN Finest” knot, and if they have not tried it, probably have some curiosity surrounding it since it is considered by many one of the best values in shaving brushes on the market. 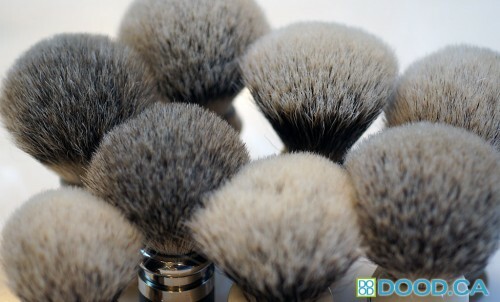 Given that the knots are value priced in the mid $20 range, a “great value” may not necessarily mean a great brush. However in this case, it is indeed a Great brush, and to be frank, compares with brushes costing several times its price. And before you all jump to conclusions, I do own Simpson, Shavemac, Rooney and other big name brushes – several that cost well over $100, so I am not making this statement without some experience and reference. I am just very enthusiastic about building my own brushes and setting my own knots. There’s something therapeutic about it for me. Since all manufacturers have different ideas of what is a “best” or “finest” badger, keep in mind that TGN’s rating system only applies to their own brushes. I decided to break it down into individual reviews with a rating system that compares them with each other. Similar to the rating system that I use for all the other brushes I review, but with less categories since these are just knots. Hope you enjoy the reviews! This entry was posted on Thursday, May 30th, 2013 at 8:23 pm	and is filed under Shaving Brush Knots. You can follow any responses to this entry through the RSS 2.0 feed. You can leave a response, or trackback from your own site.